Our Diabetic Life: Things are moving. I had questions. I walked into Medtronic Diabetes Headquarters in Southern California with three pages full of them, and I was sure many would be left unanswered. I had flashbacks of the first Medtronic Forum. I remember hearing excuses there. I remember finger pointing at the FDA. I remember hearing that the technology approved now was developed many years before. I remember thinking the lag time was unconscionable. Another 5 years here. Another 5 years there. We’re working on it… We’re working on it… Although I knew they had good intentions, there was a wall there. Yes they were smart, bright, good people, but nothing seemed to be getting done. And then this year everything changed. It’s like the heavens opened and the walls that stood crumbled effortlessly, pounded down by the power of purpose. Medtronic seemed less clunky. They were sleeker. Better. Stronger. Faster. In almost thee years the energy had become electrifying. You could feel it when we walked in. They apologized up front. 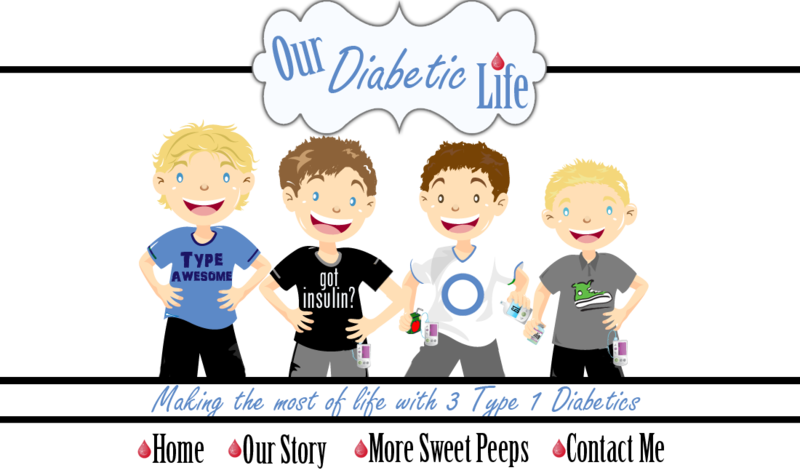 They admitted to the faux pas of the “Artificial Pancreas” terminology used for the new 530G pump and Enlite CGM that just rolled out. Although the semantics behind the name came from the FDA, Medtronic didn’t do a lot to quash the rumors going around. They heard our cries. The new 530G is not an artificial pancreas. They are painfully aware. Although later, when they spoke of the closed loop system, the language seemed a little too forward still. Can it be called a closed loop system when we are required to bolus for the food? Medtronic thinks so. In fact, after a little prodding I asked Katie Szyman, Senior Vice President of Medtronic and Group President of Medtronic Diabetes, when she hoped the true artificial pancreas would be made available. She was quick to point out that she doesn’t believe there will be a successful closed loop system without the user’s input. After all, a computer can’t guess what we are going to eat, so bolusing when one eats will always need to be accounted for. She thinks a system that will regulate blood sugars by ramping up and shutting down insulin will be out in less than 5 years. 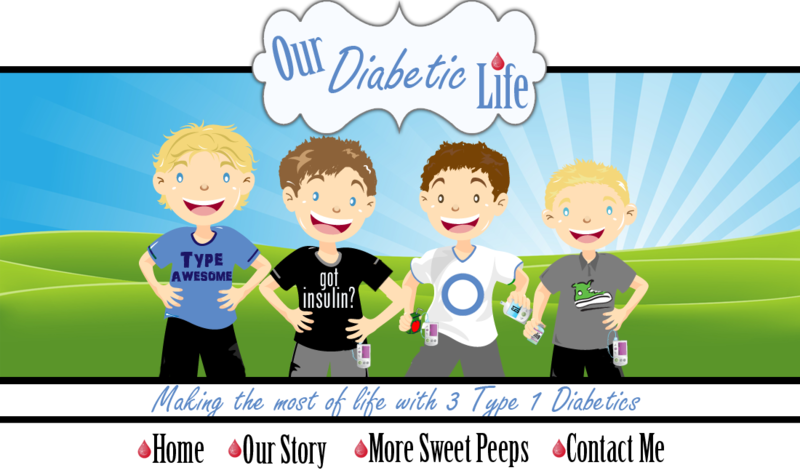 At this time she doesn’t believe using glucagon in an artificial pancreas is a viable option. Sitting at a table with her and five other bloggers, I was blown away at her willingness not only talk about such things, but also have a two way conversation about it all. My questions about the launch of the new 530G pump system were also answered right out of the gate. Why wasn’t it approved for children under 16? The protocol for trials set by the FDA were so rigorous; putting children through the exercises would be akin to waterboarding. The adults that volunteered for the study had to run on a treadmill to induce a low blood sugar reaction, and then they had to keep their blood sugar low to see if the new threshold suspend would actually do it’s job properly. By getting the system approved for adults, the studies for children were allowed to be quite mild in comparison. In brighter news, there are children in the U.S. already taking part in a study for the next generation Enlite (pronounced EN-lite,) CGM sensors. We won’t have to wait five years for this next technology; in fact Medtronic is convinced we’ve turned a corner with the FDA. Approvals should be moving faster. Another notable bone of contention was the fact that the new 530G pump only came bundled with the Enlite CGM system. As far as I know, there is no way to simply order a stand-alone pump from Medtronic anymore. I’m not sure that is the best move for them moving forward, especially since many insurance companies have trouble approving CGM’s…especially for children. I know that our healthcare provider Kaiser Permanente had a big conversation with Medtronic because of this snafu. It seems that something has been worked out, but still. It’s all or nothing for the most part. Medtronic made it clear that they are trying to make the entire system’s price comparable to stand alone pumps. Also, we were told that there are quiet a few programs in place at Medtronic to help financially. (Programs that are for everyone, in every situation financially, and for those in and out of warranty.) They don’t advertise these programs, so it would be beneficial for you to call in and speak directly with a representative about your circumstances. Financially, Medtronic assured us they are there to help you. Also, In exchange for conducting surveys, Medtronic will reduce your cost for the system. Watching the presentation regarding the new CGM, it seems Medtronic listened to all our complaints. The insertion needle itself went from 17.5mm to 10mm in length. The needle went from a 22 to a 27-gage needle. They saw that they needed to minimize insertion pain and keep the bleeding at a minimum. Because of this, there is an improved needle tip; it is much sharper which lends itself to a 63% lower insertion force. The sensor left in body is 69% less volume, falling from 14mm to 8.5mm in length. Their goal was for users to heal more quickly after removing their sites. Also, to reduce anxiety they created a new insertion device that hides the needle completely upon insertion. A bonus is that this sensor wets much faster, in fact it only takes about 15 minutes. A bonus bonus is that you can do the insertion one handed, which makes it easier to insert the device behind the arm or on the lower back. When the system is approved for children, the big sell will be the low glucose suspend feature on the pump. If your child’s blood sugar falls under the parameters you set, and your child does not respond to the low alarms, the pump will turn off for two hours to prevent a severe low blood sugar and reaction. We’ll be able to resume the delivery at any time, but the awesomeness lies in peace of mind at night. In other news, they are aware of the problem of Bayer test strips not being covered by certain insurances. I am told they are actively working on it. So when will the 530G be available for children under 16? In a perfect world, under a year. There is hope it can happen in that time. But with the landscape as it is, it could take longer. The FDA is picky on how studies are conducted. Medtronic has to do it right, or again and again until they get it right. The give and take between Medtronic’s top brass and the Diabetes advocate bloggers was refreshing to say the least. They wanted our input, they welcomed our sass. It was liberating for me to be able to blurt out, “Maybe you should just make a more accurate CGM,” and not be glared at, but instead applauded. And it's not just lip service. 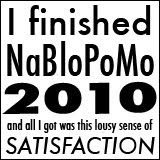 That, my friends…is called progress. More to come! I need to take a deep breath and recalibrate. Those questions I had walking in? 90% of them were answered. The 10% that weren't, I simply didn't find the right moment to ask. The winds of change are invigorating to say the least. WONDERFUL recap - I am impressed by all the numbers you got jotted down! Go Meri! Thank you for sharing all of this; you mentioned things I'd already forgotten. Thanks for the information. It's nice to know progress is being made. We don't have a CGM. For a while we looked in to getting one. Many people said that they spent the money on it and their child used it for a couple of months and then didn't want to wear it. Most were not using them regularly anymore. We have a hard time finding good sites for her pump and didn't feel like we had enough places for both a pump and CGM, and we couldn't justify the money if she would only end up fighting us to wear it. What I'm hearing you say is that right now, there isn't much of an option for a stand alone pump with Medtronic. That most likely next time around, she will be required to wear then new CGM (assuming it is approved by FDA for children by then)? That is my understanding. Not required to wear. But required with the system purchase. They come together, but your child won't have to wear the CGM component if he/she doesn't want to. Their side is the FDA approved it as a system, so they will sell it as a system. On a side note, they do have plans to sell the CGM stand alone. So I'm not sure if their reasoning holds water. You rock Meri! Thank you so much for sharing all of this information. We "hear" a lot of jibber-jabber about what's upcoming and why things are the way that they are. I appreciate hearing it right from Medtronic. I know that a lot of people were upset with the new pump being approved for 16+, myself included. Especially when my rep and those reps at the FFL booth had talked it up so much to us. Thanks for helping me take a step back and understand why it is so. Also, I wanted to comment about the closed loop systems. At this point, I understand why she is saying that glucagon in a pump is not a viable option...because glucagon is not yet available in a stabilized liquid format which can be used in a pump for a number of days. But, after hearing Dr. Ed Damiano speak about the "Bionic Pancreas", I am hopeful that this too will happen with time! There are some extremely good insights in your notes, Meri. Thank you! Their responses about the future true artificial pancreas are a little perplexing such as the Medtronic VP saying that an artificial pancreas will always require user input. That seems to contradict Ed Damiano/Steven Russell's T:Slim prototype of the bionic pancreas that they're currently testing on camp children and hospital staff. Their system doesn't need user input as to if the participants are eating, and so far they've found only a 10 point differerence in daily average when the participants pre-bolus versus them not telling the system at all when/what they're eating. I also wonder why Medtronic still feels that glucagon isn't a viable option in a pump...there are 3 companies right now that have stable formulations of glucagon in clinical trials or almost to clinical trial phase right now. I could see that possibly Medtronic is instead strategizing that they'll go after the market of diabetics who don't want to wear 2 infusion sites plus a cgm--that seems like it could be the real reason they'll head in another direction with an almost closed loop system that wouldn't haev glucagon. But regardless, all of this is progress that's desperately needed and long overdue! I have been in contact with my Medtronic rep in my area, she mentioned to me that there is a program called the "Pathway Program" through Medtronic. It allows those who are not due for a upgrade to receive the new 530G pump for $399.00. If you do this program you don't go through your insurance company at all. I have two children with type 1, so I was thrilled to hear this. She told me that we would order the CGM's/enlite sensors through my insurance though, I received my daughters CGM two weeks ago. My son was denied the CGM because he was under 8 years old, so the doctor is going to try to appeal it. My daughter is 9 and my son is 6. The Medtronic rep told me that with a letter from my doctor that my kids could get the pumps through this pathway program. Is she wrong? From what I read about the meeting you attended is that they aren't letting children have the new pumps. Here's the wesbite she told me to go to: http://www.medtronicdiabetes.com/customer-support/device-upgrades. I just want to make sure I'm not putting all this time and effort into trying to get these pumps for my kids if it's not going to happen. Thanks so much! - Teri S.
I've heard many children have received the pump and enlite sensors because their doctor wrote a letter of necessity. You're rep has not led you astray, but it is never a sure thing. You're insurance has the final ok, although in many cases they will go with what the doctor prescribes regardless of age guidelines. Technically though, the system is only approved for over 16. Your writing always impresses me! GREAT POST!